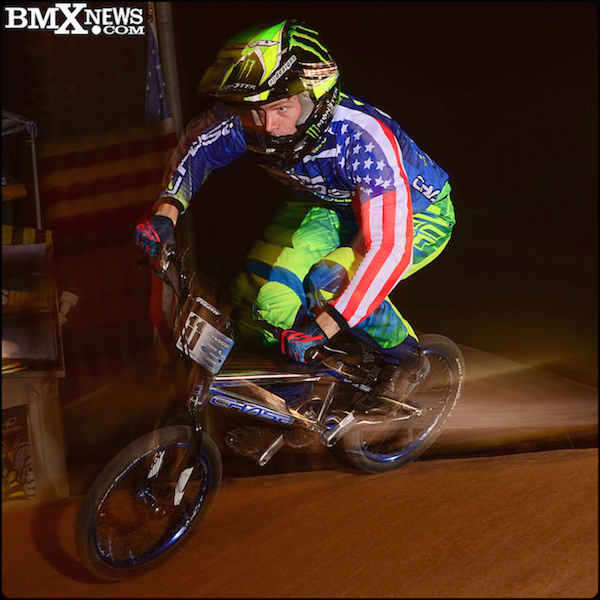 Phoenix, Arizona is one of the premiere USA BMX tracks on the race schedule and it was a fitting location for the first stop of the 2015 USA BMX Pro Series tour. What more can you ask for in a BMX weekend: A beautifully groomed outdoor track, picture perfect weather, and a great crowd of some of the best BMX fans on hand to watch the best Pros race head to head, is an excellent way to start off the season. Chase BMX Factory Pro team riders Connor Fields and Joris Daudet were looking forward to the season opener, after their great performance at last season USA BMX Grand Nationals. Both riders have had a great off season training program and were ready for the season opener. 53 Elite men were signed up to race the new USA BMX race format, with the 1st National event for the Pros on Friday night and the 2nd on Saturday. With Pro racing under the lights, it was time for the season to kick off and kick it up a notch. Connor Fields has had a strong off season training regimen and Phoenix was a direct result of his continued effort of striving for excellence on the BMX track. On Friday, Connor rode perfect on the track, with taking wins in each and every one of the laps he did, all the way up to the main event. 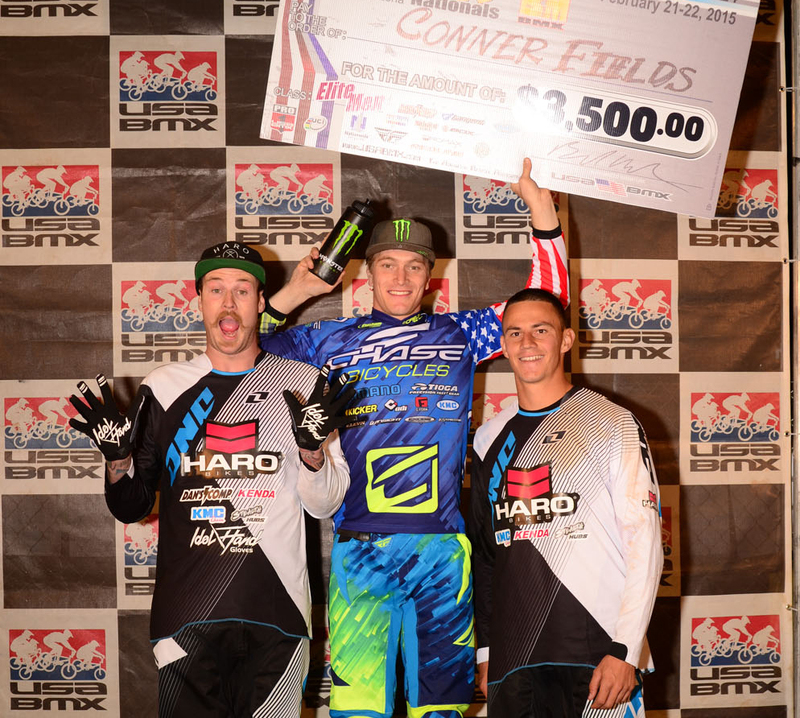 When the gate dropped for the main, Connor carried on with his winning ways, took the lead and never looked back, taking the first main event win of 2015 on the USA BMX tour. On Saturday, Connor once again rode strong all day, but a bump down the first straight-away in the main event would keep him from being on the podium in day 2, where he would finish up 7th overall. 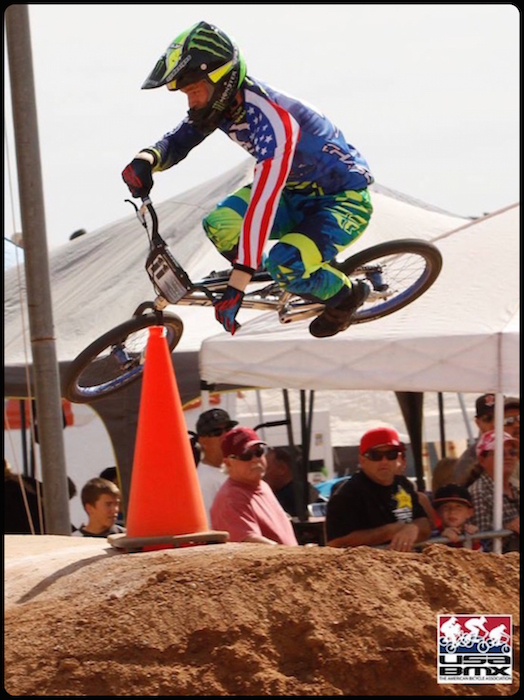 What a great way to kick off the 2015 USA BMX season and Connor will now put his focus to retaining his USA Cycling National Championship, as that is the next event up for the Pro riders, along with the Rock Hill National at the end of March. Joris Daudet was riding well all day of Friday, but was just edged out of the main event on the night program. On Saturday, he was not to be denied, as he once again rode smart and strong throughout the day and made his way into the main event. Joris and Connor were next to each other on the gate, and as fate would have it, they were forced into each other, by another rider, and it took the chance of a 1-2 Chase BMX finish away. Joris would salvage a 5th for the night, but cap off a good weekend of racing in the main event. 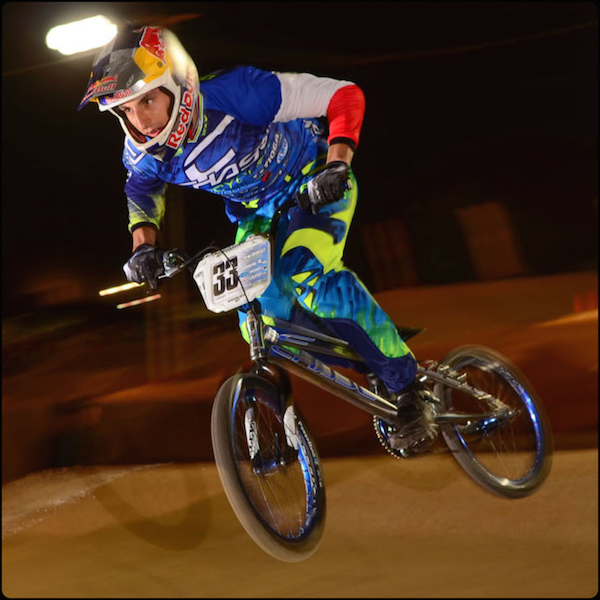 The riders now have a few weeks off before the 2nd stop of the USA BMX Pro Series, as well as the USA Cycling National Championship race on the Supercross track at the great Rock Hill BMX Facility in South Carolina on March 20-22. For more info on the event, visit the USA BMX website.